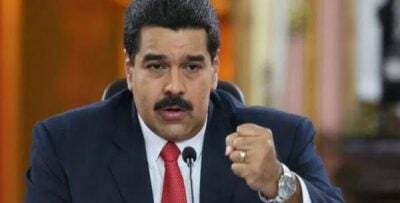 Venezuelan President Nicolas Maduro has said the Trump administration is seeking to assassinate him, as relations strain between the two nations. Maduro said in a nationally televised speech on Thursday that the United States had instructed the Colombian government to organize his assassination which failed in early August. “I am saying this to the entire world — the order to kill Maduro was given to the [Colombian] government in Bogota from the White House that wants to kill me,” he said, stressing that any future assassination attempt on him would fail. Maduro survived an assassination attempt in early August during a military parade in capital Caracas. He was unharmed while seven Venezuelan soldiers sustained injuries in the incident. Venezuela’s president has repeatedly accused Washington and Bogota, particularly Colombian ex-president Juan Manuel Santos, of having a role in the attack. Moreover, Venezuela has already said it would put the blame for any future attack on its territory on Colombia. The Colombian Foreign Ministry denied any involvement of Bogota in the assassination attempt on Maduro, according to a report by Sputnik news agency. The allegations come amid heightened tensions between Caracas and Washington. The recent UN General Assembly saw a war of words between the two countries’ heads of state in which Maduro vehemently condemned “US interventionism” in the Latin American country after US President Donald Trump controversially suggested that a military coup could topple the Venezuelan government. Washington has also intensified unilateral sanctions on the socialist country, announcing bans on Maduro’s wife and several of his top allies to further increase pressure on the government in early September. Caracas has been facing a series of US embargoes targeting its economy and political authorities since 2014 under the pretext of alleged human rights abuses and threats to US national security. Moreover, massive inflation and a shortage of basic commodities such as foodstuffs and medicine have forced an estimated 2.3 million Venezuelans to immigrate to other South American countries. Maduro, however, remains steadfast in the face of criticism towards his socialist government, calling on Venezuelan immigrants to return amid economic reforms.